Michael Azzano will be opening his first a solo show in the Community Gallery at the Confluence. Azzano is an artist living and working in Omak, Washington. 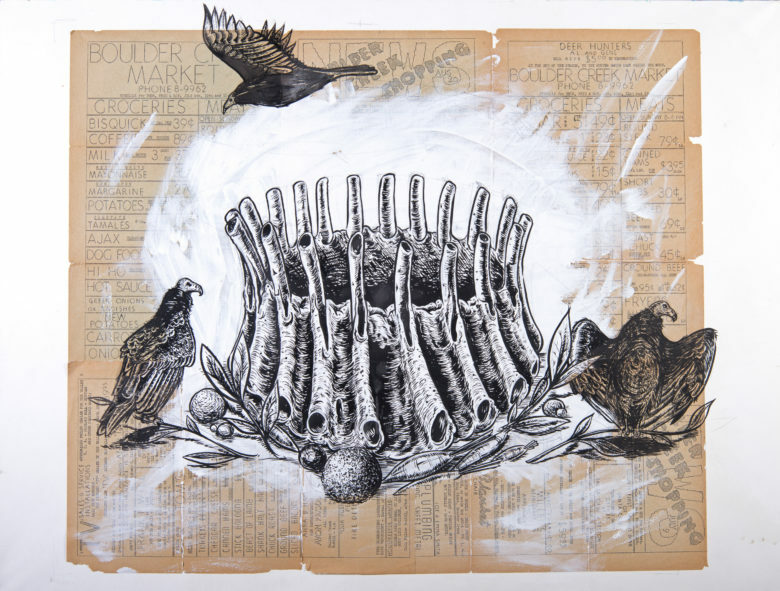 While primarily a printmaker, Azzano’s work encompasses painting, drawing, sculpture and a variety of “mark making.” Azzano’s work has been showcased throughout Washington State and nationally; he holds a BFA from Washington State University.